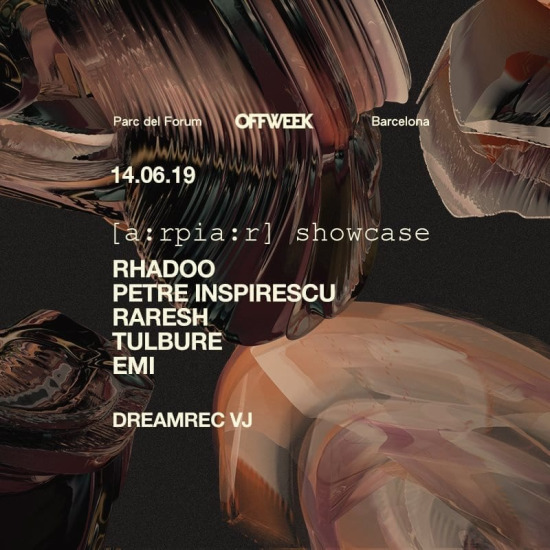 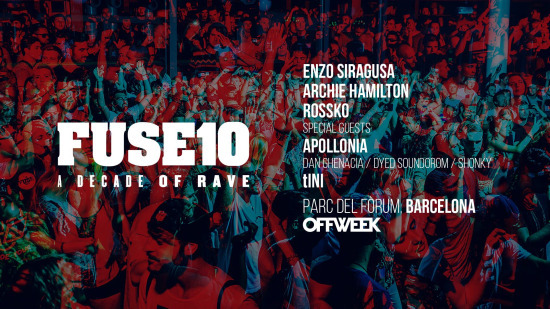 Off Week Festival 2019 - Fuse10 - A Decade Of Rave FUSE10 World Tour will stop in Barcelona for the OFF Week Festival. 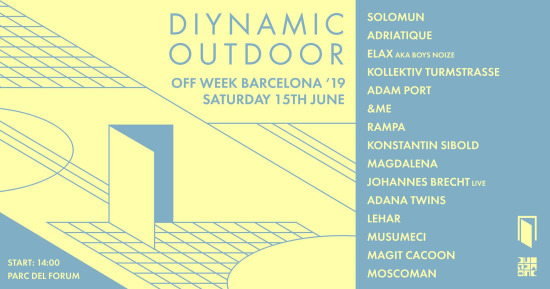 On Sunday 16th June, we'll host a FUSE stage at Parc Del Fòrum for a daytime seafront rave. 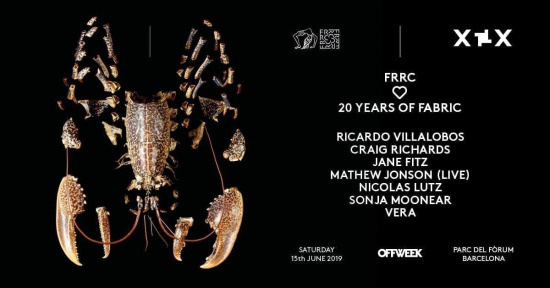 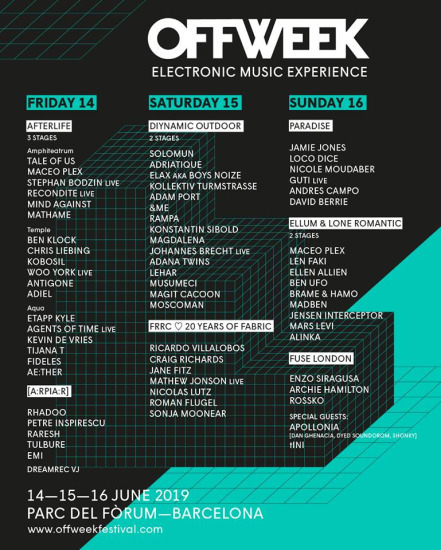 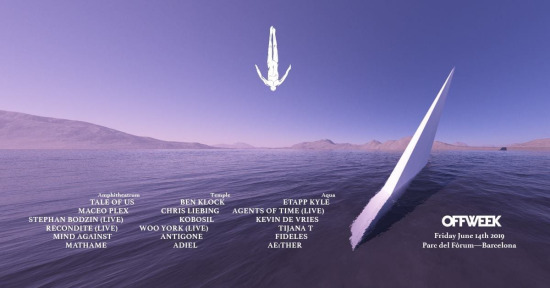 Line up Enzo Siragusa Archie Hamilton Rossko Special Guests Apollonia (Dan Ghenacia / Dyed Soundorom / Shonky) tINI Tickets https://www.residentadvisor.net/events/1200199 Vote your favourite festival: POLL: What are the most exciting music festivals in Europe, 2019?